Carrying your tripod is something you’ve got to do very carefully. By using the best tripod bag, you can make sure that your equipment arrives spotless to your destiny. These are the best bags and cases for most travel tripods and monopods you’ll ever find. There’s pocket with a zip inside it and something which is very convenient is that the shoulder strap is removable, so you can change it when it’s worn out without having to change the whole bag. Besides, it includes a pair of strap handles to allow a switch from the shoulders to your hands when you’re carrying your tripod. 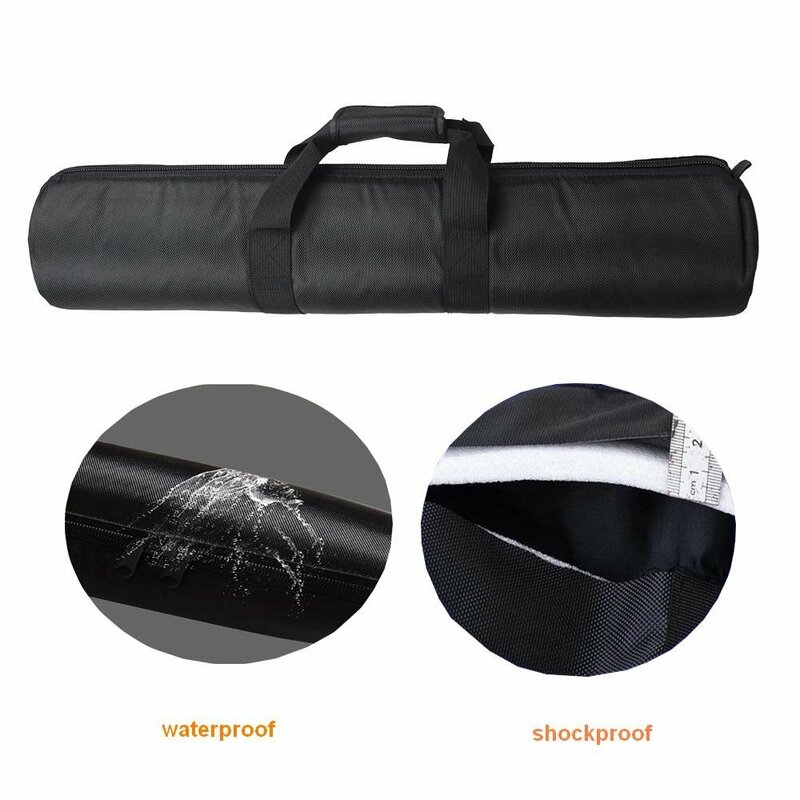 This is one of the best tripod bags since it’s made of resistant vinyl, which makes it suitable to go through severe weather conditions. 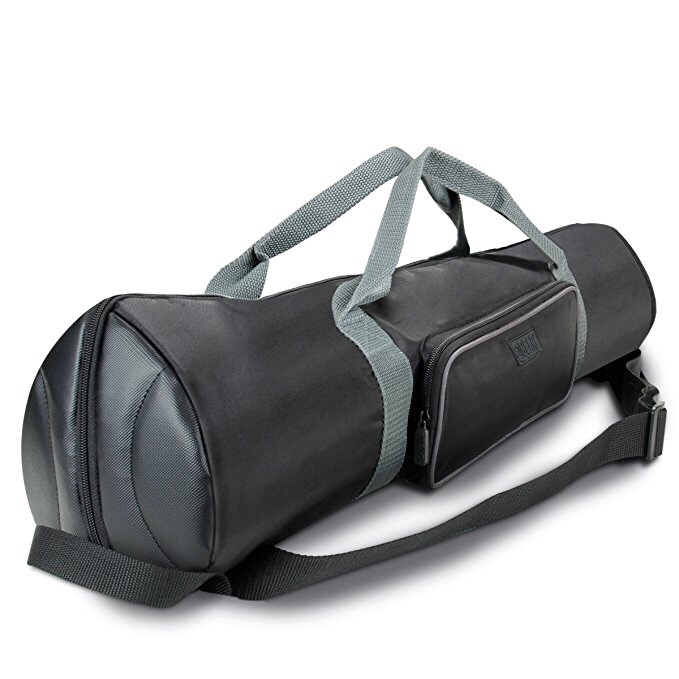 The smooth lining made of nylon which inside protects your equipment and makes the bag more resistant. 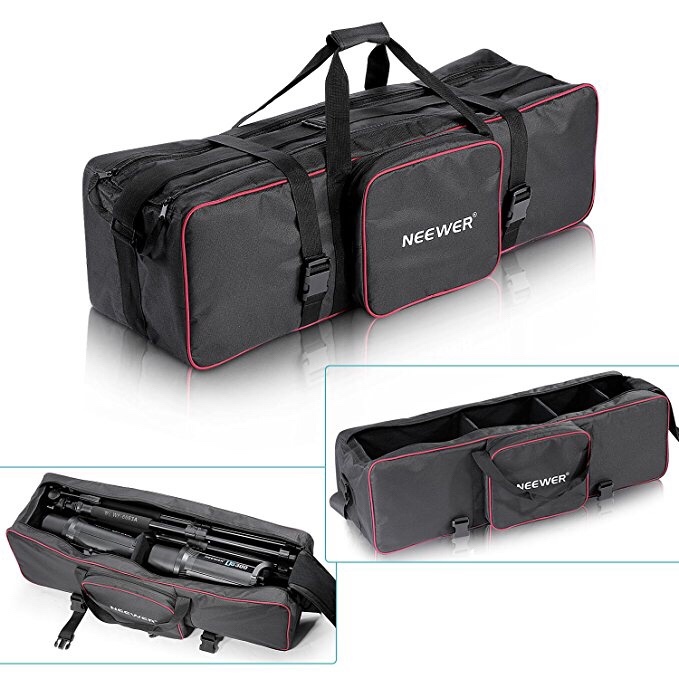 The padded compartments make of this bag, one of the best tripod bags to choose from, a very suitable storage to carry other equipment and accessories needed in photography. It includes plastic buckles, which makes the bag more resistant when what you carry is heavier than average. It’s got a double zip that runs smoothly and quickly. Besides, moisture, dust, and dirt won’t stick or damage your tripod. The carry straps have an overlapping grip to make it easy to lift it. 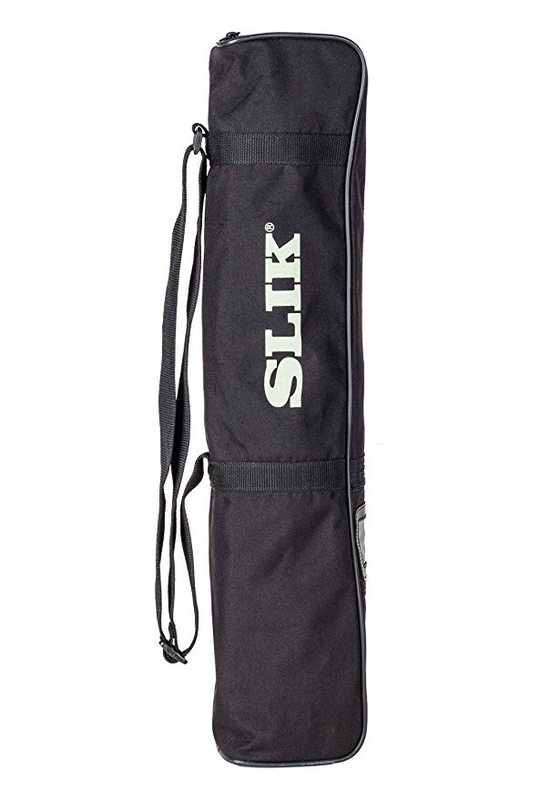 This is one of the best tripod bags I highly recommend. This is a professional medium-size tripod bag. There are small pockets with zips and windows. The nylon shoulder strap is adjustable for your comfort since it’s long enough for you to fit it across your back. One of the best tripod bags has a size extension. Several tripod brands fit perfectly well in your heavy-duty bag that also includes a spacious pocket to keep your chargers and the other accessories. Enough proof of is durability is the three-year warranty provided by the manufacturer of a bag. 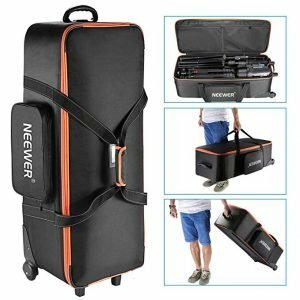 One of the most favorite rolling tripod cases among travel photographers, the Tenba Transport is the best choice as it makes moving heavy loads easier. 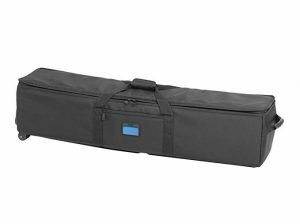 If you travel by plane frequently, you won’t regret having this Tenba rolling case for your tripods. I highly recommend this tripod bag with wheel. 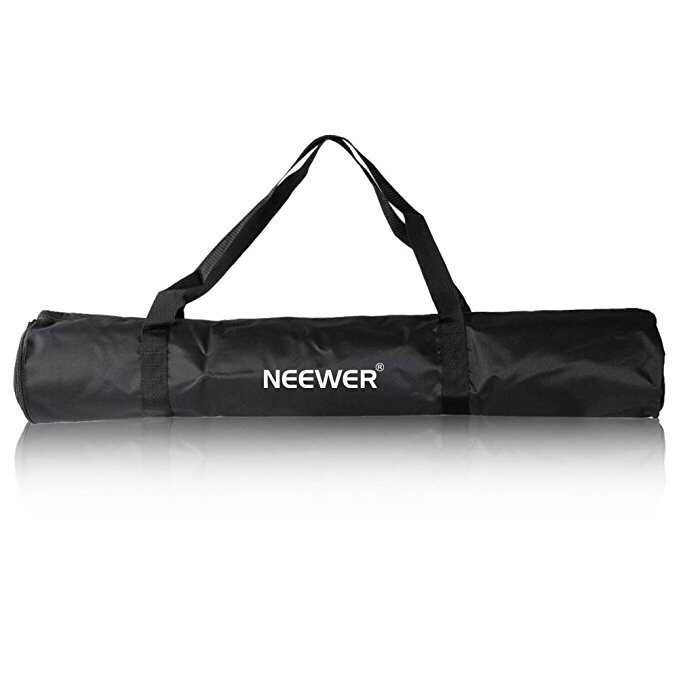 The Neewer Photo Studio Equipment Trolley Carry Bag is the best way to transport your equipment and storage place when they not in use. Looking for the best hard case for your smartphone gimbal stabilizer or small tripod? You should consider this budget hard case. I like this USA Gear tripod case for its flexibility. The bag has a zippered extension that fits most tripods from 21″ and can expand to hold tripods up to 35″ long. 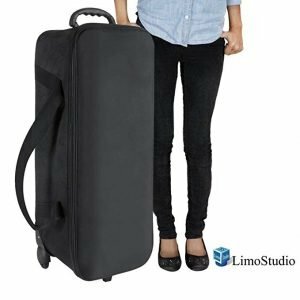 The LimoStudio is the best tripod case with wheel and strap for most photographers who have loads of camera gears and accessories. The best case for tripods will make travel photographers easier. The case will help you to carry and protect multiple tripods and gears. In this above list, I include all the essential cases you can consider: small tripod bag, tripod hard case, tripod carrying case with strap, and tripod case with wheels.